Having read this, I was just thinking about these elements/classes under the System.Web.Optimization namespace are all stitched together to implement the bundling and minification functionality.There were some design level questions as well like is the bundled content cached once created at server side or the bundling is done for every request?. 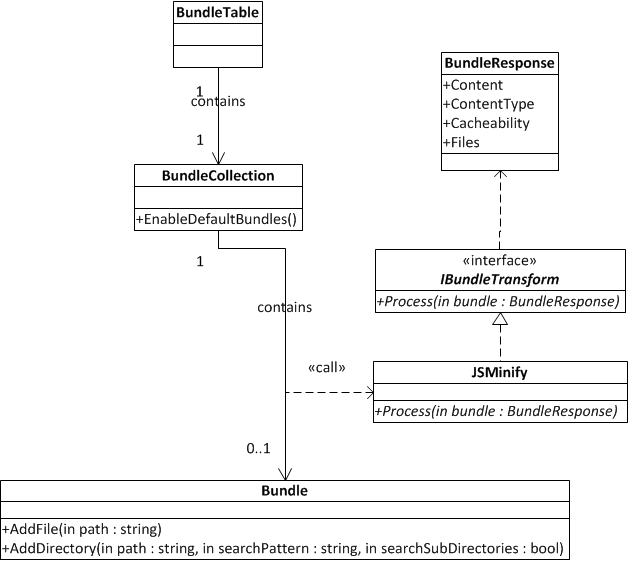 BundleResponse – This class represents a resource bundle which contains the response after the resources are bundled and minified. Not quite sure why this signature accepts a System.Type rather than accepting an instance of IBundleTransform. 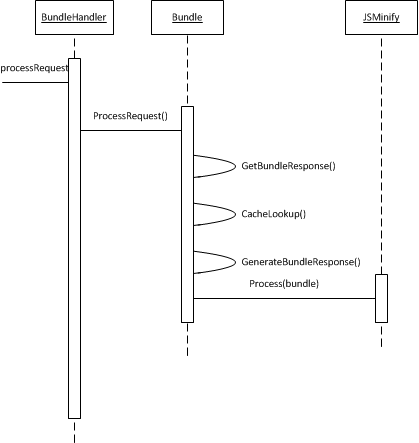 The IBundleTransform.Process method should accept a Bundle as input and return BundleResponse as output not a void return type with BundleResponse as input. This does not seem to be a good API design to me. A class implementing IBundleTransform interface converts this to a minified and merged content and puts them in BundleResponse. But how IBundleTranform.Process method is invoked? Is there any caching happening? I implemented a small custom transform class which throws an Exception. Get the Bundle from the Singleton class BundleTable. The various ability of asp.net 4.5 includes Improvements to HttpRequest handling, method for reading the request entity in a buffered way, support for performing flushes asynchronously using the BeginFlush and EndFlush methods of the HttpResponse class. Anyone else think this all looks very similar to https://github.com/jetheredge/SquishIt ? is there any support for embedded webresour/image in Bundling?